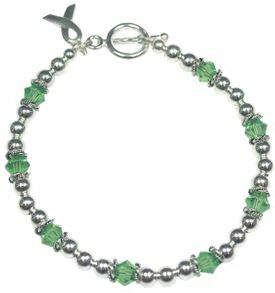 This Glaucoma awareness sterling silver and Swarovski crystal bracelet is absolutely stunning. The colored crystals just reflect light everywhere. The entire bracelet is sterling silver, even the wire inside.